Tee tree oil is the holy grail ingredient in most problem skin solutions. It has been a must have of mine since I was a young teen and will undoubtedly be a staple in my skin-care kit for a very long time. 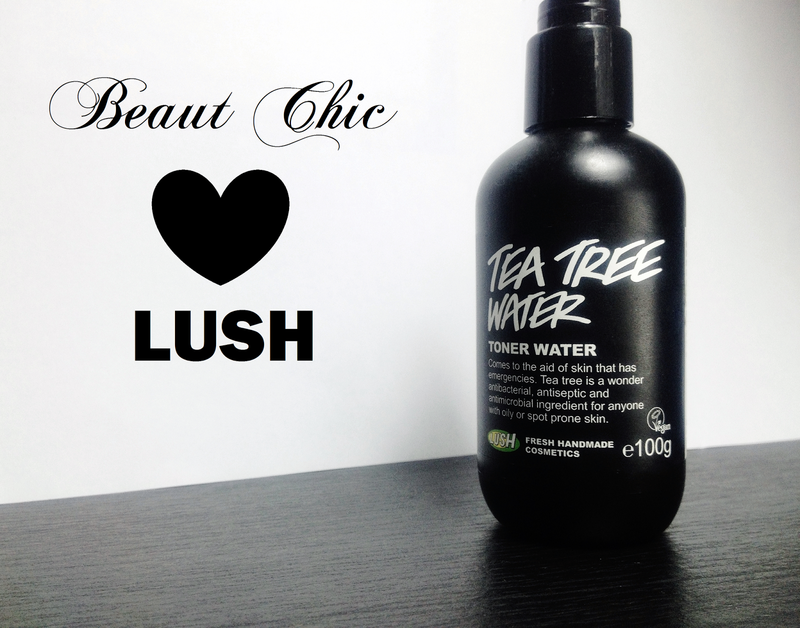 Tea tree products come in many forms but I had never tried a "water" until now. Lush is a brand that I have much respect for. I love everything the business stands for as well as their products which are absolutely AMAZING! Thanks to Lush, I was sent this little beaut and can not believe I had missed out for so long... it is fantastic! Although I am now 23 years old, I still get problematic skin at times. I also have a very oily t-zone which I have to carefully manage throughout the day by blotting at regular intervals (approx. every 3-4 hours.) I also have to be careful about which products I apply to my face morning and evening as my skin can easily become agitated by heavily scented products. This has not really been a negative for me though as this has allowed me to find more balanced items which are probably a lot better for the skin in general. I have used many toners throughout the years. I always remember hating them as they seemed to make me break out. That was until I finally stuck with them and discovered that they were actually just drawing out any nasties leaving my skin looking great in the end! Now when I have no makeup on, you can really see that my skin is actually quite clear and is looking in great shape. I put this down, mainly, to this beauty from Lush as I have noticed an improvement whilst using this in comparison to any other toner. It is gentle, easy to use and a little really does go a long way. I adore the packaging as it comes in a handy spray bottle, making it easy to either spray onto a cotton pad or to the entire face. I have even mixed this with my moisturiser during "that time of the month" to ensure prevention against further breakouts. I cannot rave about this product any more, my words just don't do it justice. If you have issues with breakouts or just want to keep your skin extra clear, I highly recommend this. It is very affordable and comes in two different sizes (100g & 250g) making it easier for you to give it a little try before purchasing the larger size. I have been using the smaller size which has lasted quite some time now but will be purchasing the larger size ASAP! Which products have you tried from Lush? Leave me your recommendations below.